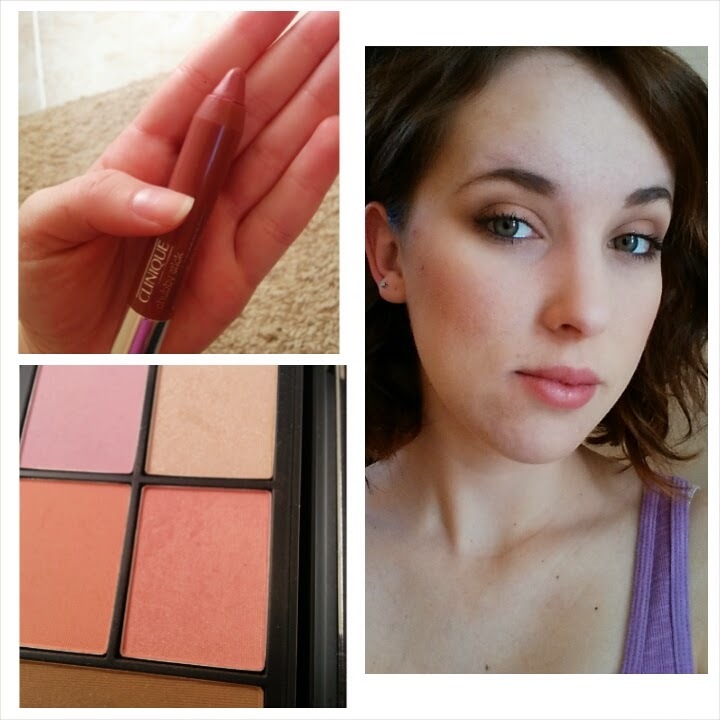 This post is written by Danielle, beauty/makeup contributor! 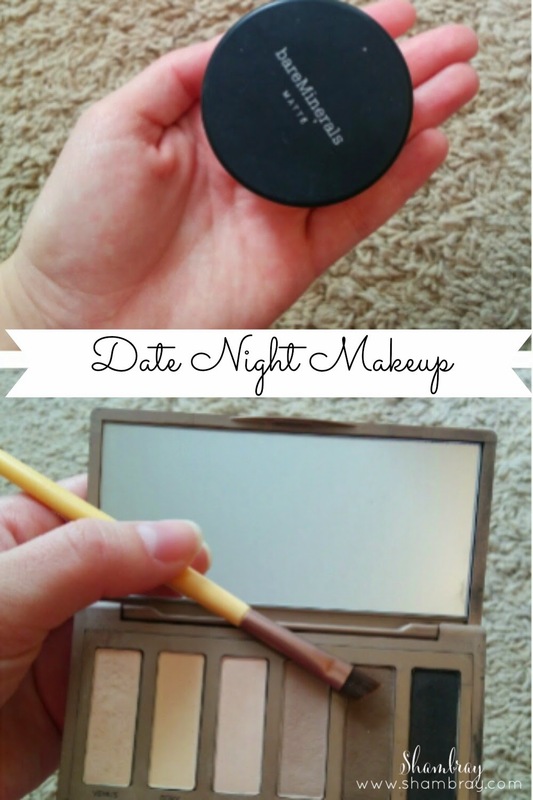 Getting dressed up and doing my makeup for a date night has always been on of my favorite things to do. But lately I've been very light on my makeup wear so I've had to make some adjustments to my routines. I've come up with the perfect date night make that still looks great but is also easy, quick and light. 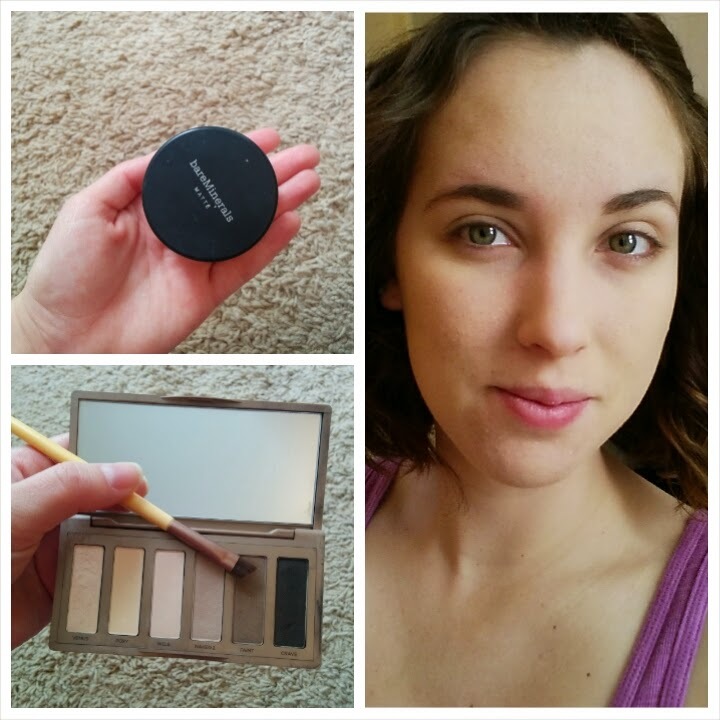 First off, I use Bare minerals matte foundation as my base. This gives great coverage using a very small amount and still feels very light and natural on the skin. Then adding a little structure and definition to my brows always helps me feel like I look much more put together. So this is a must!! For my brows I like to use a powder formula because I feel it gives a more natural look and is much easier to work with. The best thing I've found so far it's Urban Decay naked basics palette and I use like to use my Eco tools angled liner brush. For the eyes I used Laura Mercier eyelid primer, Clinque chubby stick eye-shadow in Ample Amber and Clinque eye-shadow in Black Honey. First I primed my eyelids. Next I took the chubby stick all over my lid and up a little past my crease then blended any harsh lines out. 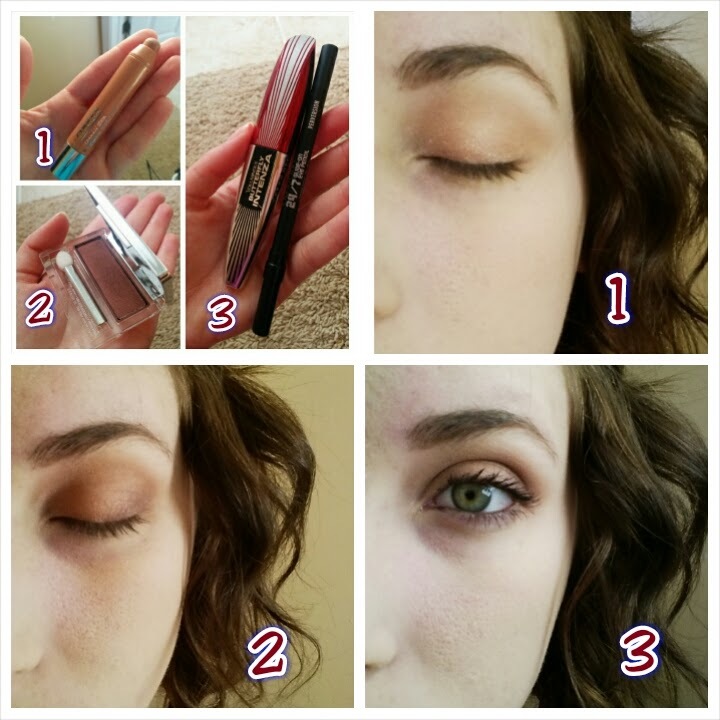 I took the Black honey eye-shadow and blended it in the outer v of the eye lid to add some depth. Finishing off with the eye I took Urban decay eyeliner in Perversion and lined my lower water line and Loreal Macara for my lashes. Lastly I took a pinky peach from my Nars cheek palette for blush and Clinque Chubby Stick for lips in Bountiful Blush for my lip color to finish off the look. This look is probably my favorite for going out because it's simple and looks good especially with green eyes! 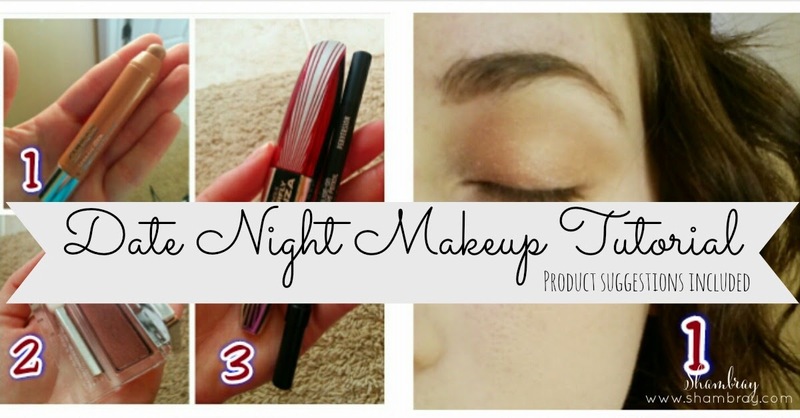 Hope you all enjoyed my date night make make-up!